Hands on Tips, Products, Code Updates and Radical Ramblings to Help You Make the Most of the Right-Sized Shelter Revolution. 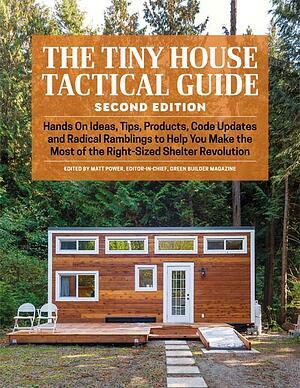 The Tiny House Tactical Guide deconstructs the bias against small living spaces and advocates for improved self-reliance of tiny homes through the installation of redundant systems, including on-demand hot water, small capacity hot water tanks, induction cooktop, and flexible solar panels. Fill out the form on this page for access to this guide.